The beauty world held it's breath while we waited for Liz Earle to release her make up range and I tried out the Sheer Skin Tint last year and have been using it throughout this summer too when my skin is on it's best behaviour. The Lash Definition Smudgeproof Mascara arrived at Casa Girlie Bits recently and I immediately went home, took off my eye make up and slapped this on. Described as being water-resistant, flake free and long lasting, I couldn't wait to put it to the test. I have tried millions of mascaras over the years and 99.9% I'll know if I love it right after applying it for the first time. I know what I like and I like this one! The wand isn't anything fancy schmancy but Liz has never been one for tricks and gimmicks. She keeps it simple and uses what works. The formula is slightly on the wetter side but doesn't lead to clumping and is enriched with Vitamin E.
How did I get on with it? Well, the first time I tried it, I applied one coat and thought "Hmm, I know Liz is into all things natural but I need some volume on my lashes, does she want me to look like I've nothing on?" but after applying the second coat, I smacked myself on the back of my hand for not trusting Ms. Earle. The photos below show one coat and two coats. 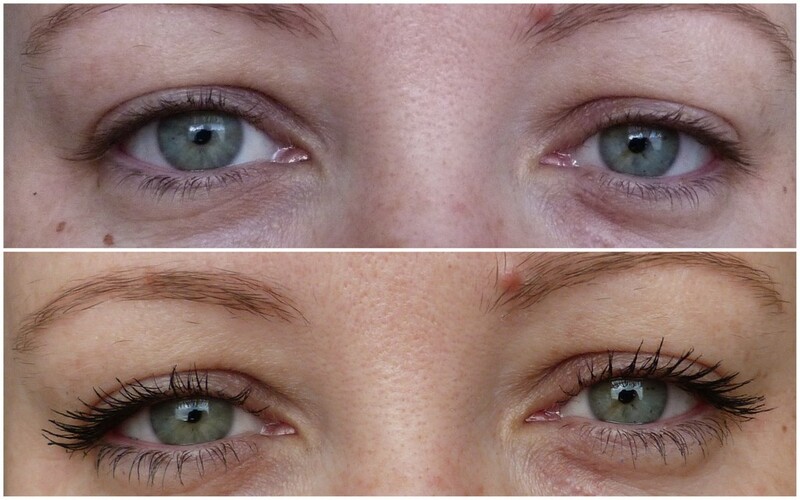 Liz Earle Lash Definition Smudgeproof mascara - one coat. Liz Earle Lash Definition Smudgeproof mascara - two coats. The second coat went on really easily and I watched with glee as my lashes curled up and fanned out, opening my beady, villainous eyes. Result. Length and volume, I was a happy camper and went about my work day. When I came home there were no flakes under my eyes and I knew I was on to a great mascara. One I'll have to hide from Joanne. She likes natural lashes and one coat would be perfect for her. I need more. The more the better without looking like I've spider legs on my eyes! 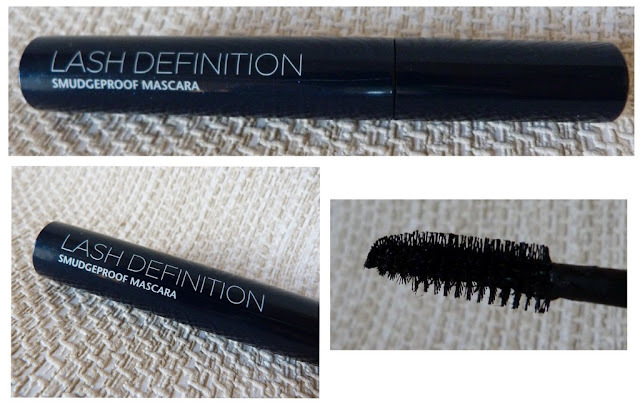 The mascara comes in black and brown and is available to buy here along with the rest of the make up range. Have you tried any of Liz Earle's make up yet? Spill the beans! It's a really lovely mascara, let me know how you get on! Ooh I hope you do a post on it Laura! Wow your eyes look fantastic. Might have to add this to my shopping list. Thanks for the recommendation! New make up from Origins! My Favourite Five posts of the week! Orly Oui nail polish - Oui Oui Oui!